A novel partnership initiative announced at a fully-booked breakfast seminar which was also addressed by Karl Lumsden of Google and David Noone of Procure Wizard. 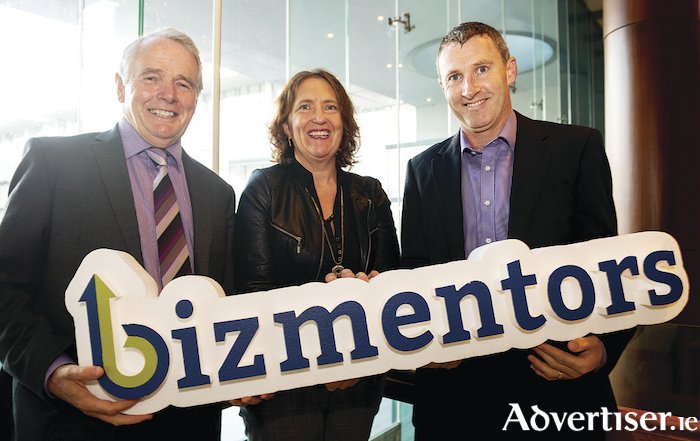 Exciting plans for bizmentors® were revealed at a specially convened Breakfast Seminar held in the Clayton Hotel, Galway on Tuesday. Michael Smyth of SCCUL Enterprises opened the seminar by outlining plans for the future of bizmentors® and an interesting programme of events for the coming year. Attendees were encouraged to become involved in an innovative sponsorship opportunity for businesses wishing to partner with the bizmentors® programme. Several businesses have already expressed interest in collaborating with bizmentors® to host these events. The seminar also heard from two keynote speakers: Karl Lumsden of Google Ireland and David Noone of Procure Wizard - a past participant in the bizmentors® programme. Attendees were given invaluable insights about how to reach the Irish consumer online by Mr Lumsden. Karl stated that Irish consumers spend €850,000 per hour online each day, this is expected to double by 2021 with 94% of internet users in Ireland shopping online. Mr Noone shared his bizmentors® journey and how it has been integral to the exponential growth of his company Procure Wizard. David acknowledged that he did not have all the answers to the different challenges that an SME faces and emphasised the value of having access to mentoring. To become a mentee or mentor, please visit www.bizmentors.ie; alternatively if you wish to partner with bizmentors®, please email [email protected].